The hottest new way to see movies in theaters the past two years was with MoviePass, a $10 a month subscription service, that for a time offered members unlimited movies. 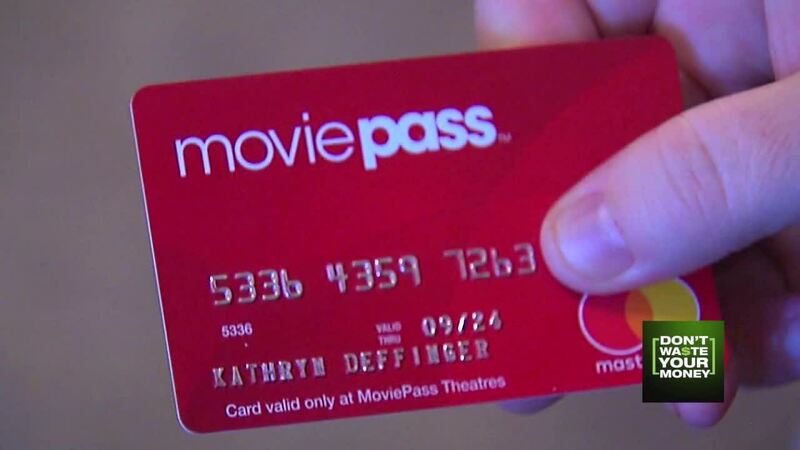 But one mom and many other members say the MoviePass app is no longer working for them, and are now wondering if it may have been too good to be true. Lisa Davis is one of thousands of unhappy MoviePass members. "There was this movie we wanted to see at our local theater," she said. "By the time we got there it was off the app." She had to turn around and go home. Davis was an early member of the movie subscription service and loved it at first. "We saw probably an average of eight movies a month, we were going a lot, for just $10," she said. By August 2018, financial problems led to MoviePass cutting members back to just three movies a month. In the fall, it cut them further, dropping major chains like AMC and limiting members to just smaller theaters that used the "e-Ticketing" program. Davis says in recent months she was still able to use her MoviePass at independent theaters, but even that has come to an end. "In January of this year, they cut out the e-ticketing theaters, so for our $10 a month we could see absolutely nothing," Davis said. Theater manager Johnny Shenk says it's MoviePass, not theater owners, who are locking users out. "It will just say 'no shows available at this location,' and it's not true," Shenk said. "We're ready. We're happy to use it. It just seems the funds are gone and they are locking more people out at this point." MoviePass's CEO tells Variety magazine it is rolling out three new pricing plans and plans a comeback in 2019. None, she says, compare with what MoviePass used to be. We tried to reach MoviePass for comment, but were unable to reach anyone via email or LinkedIn. As for Lisa Davis, she's now trying to cancel her monthly subscription fee but says even doing that is difficult. "It's so disappointing," she said. "We loved it."